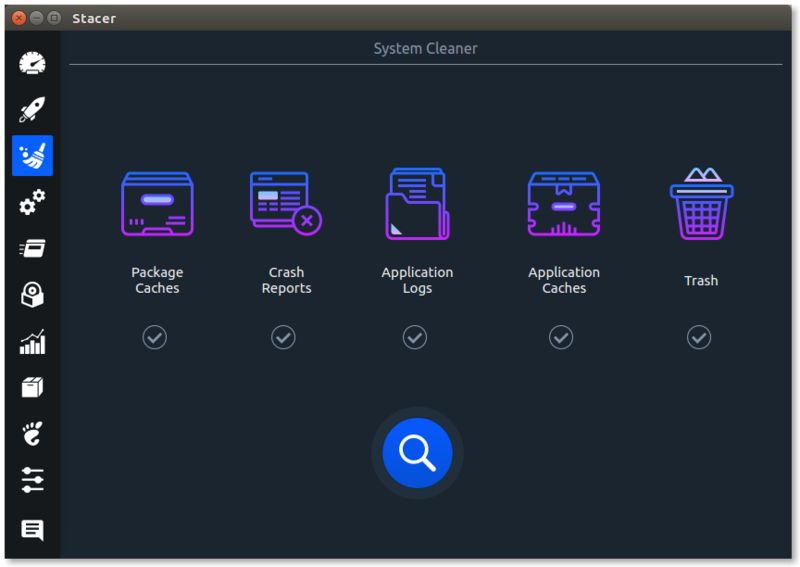 To me, this program looks like it's similar in functionality to CCleaner for Windows. I like Bleachbit, but it seems intimidating for users. Thay seem to get scared with fancy words and no pictures n' graphs.........n' colors...Ah hem. I'd be turned on to this software, but to me it kinda looks like some sort of MacKeeperPro or System Optimizer Pro malware. I'm curious as to what's going on under the hood of this program. 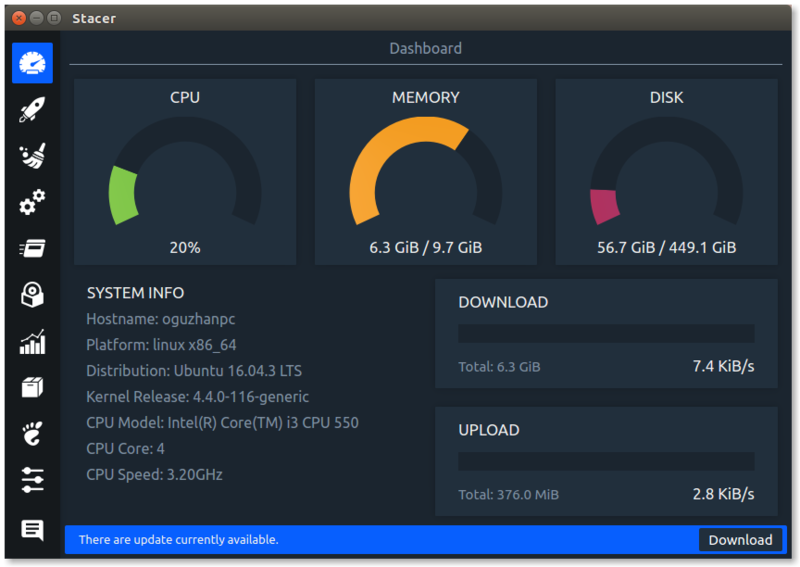 Do any of you super elite Linux guys know anything about this software, or it's developer by any chance? It seems like Stacer is reputable, but idk, I deal with so many infections every day I can't help but be cautions with pretty colors and potentially useful software. I'm kinda torn between gut instinct and pretty pictures.....n' graphs.....n' colors.......Ah hem. 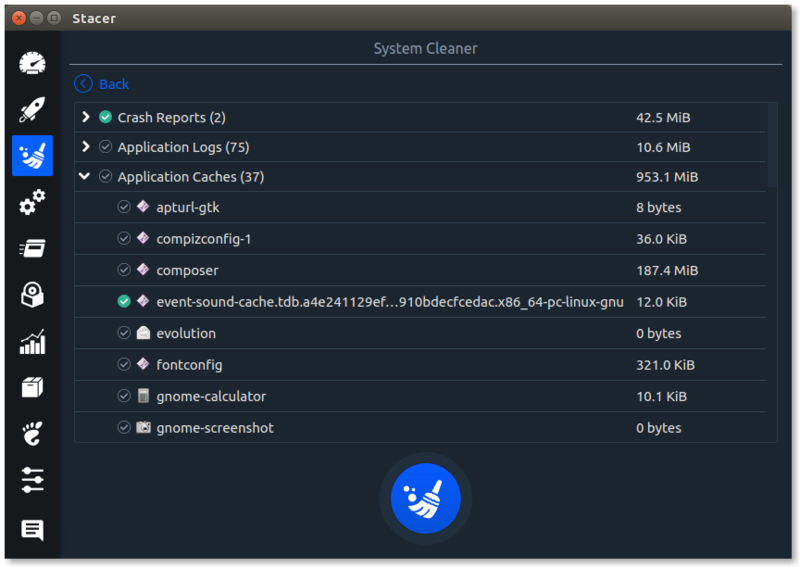 I tried Stacer last year and considered it as an alternative to Bleachbit and while it is PRETTY, it did not have the options I needed. The lack of under the hood options was a deal breaker. I have specific directories I want to have cleaned out and I could find no option for adding them. It looks like it has additional options which would be irrelevant on Manjaro/Arch. I ended up reverting back to bleachbit and altering the launcher so that it will run both user and root options. The following snippet will launch bleachbit as root after you cleaned your user account... you need to ensure zensu (gksu replacement) is installed for this to work. It will prompt for root access before the root sustem is cleaned. sh -c "bleachbit ; zensu bleachbit"
While i agree it's pretty, it's also smartphone style and a waste of space. Bleachbit is more capable and has a display intended for computers. Bleachbit also has the newer polkit version with a policy file you can modify for passwordless root. For a complete run you do need to run as user AND then root. Some settings only need done in one or the other. pkexec bleachbitin the file /usr/share/polkit-1/actions/org.bleachbit.policy change allow_active to yes, allow_any can be 'no' if you'd like. </defaults>That of course infers you have switched fully to polkit and have purged gksu. The sudo method can stay, but is deprecated. I will say I do love Bleachbit's simplicity a lot better than Stacer. Stacer is trying to be a one stop hub for EVERYTHING, almost like its own Control Panel or something.